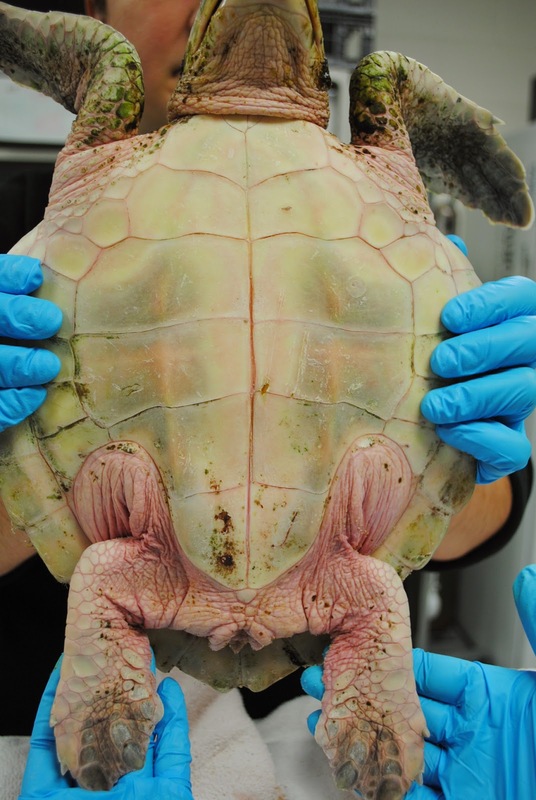 Since we are in the midst of an unprecedented sea turtle stranding season, we rely on partners to help with the long rehabilitation phase in the recovery of cold-stunned sea turtles. 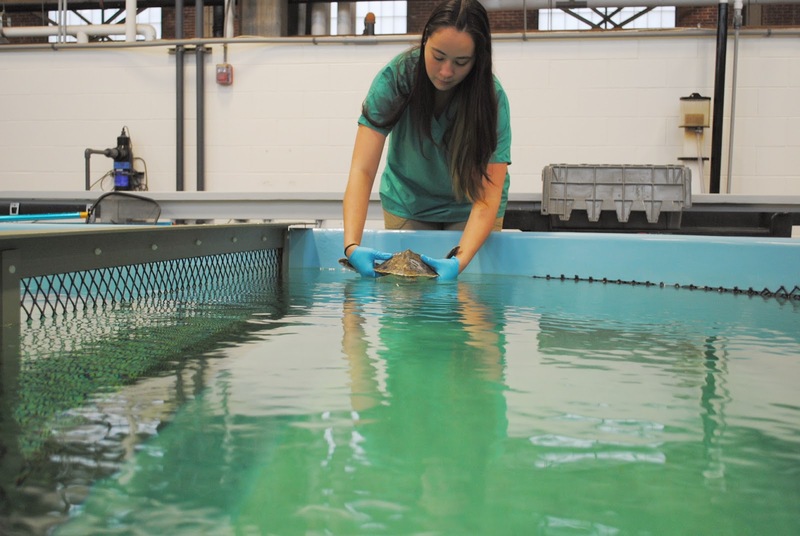 Once we stabilize their health here in Quincy, many turtles are carefully transported to other rescue facilities up and down the East Coast for rehab—a long process that can take months. 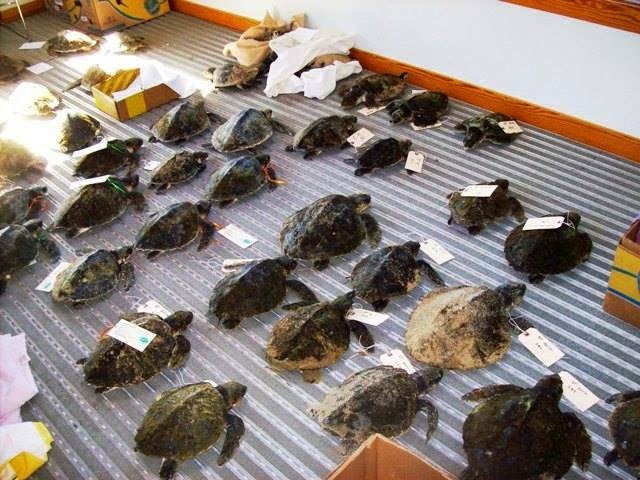 Most of the turtles transported to other facilities were small Kemp's ridleys, anywhere from 3 to 10 pounds. 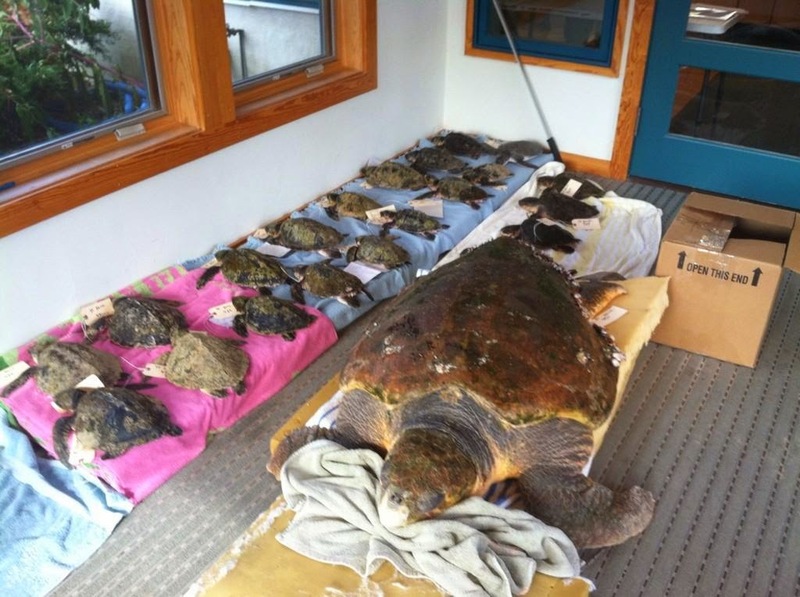 Yesterday was an epic day for sea turtle transports—fitting for an epic stranding season. 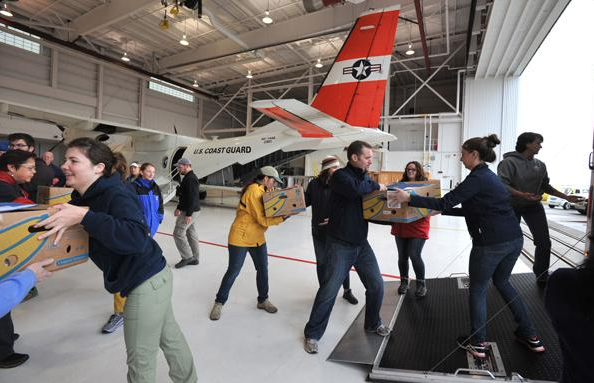 Before dawn, 193 critically endangered Kemp’s ridley sea turtles loaded into padded boxes and transported by a Coast Guard plane to Orlando, where they were distributed to seven marine animal rehab facilities in north and central Florida. At mid-morning, a private jet flew 50 Kemp’s and green sea turtles to North Carolina for distribution to the aquariums there. Here's just a sampling of what this busy day looked like. This is what it looked like before the transport: Boxes along a wall staged and waiting for the early morning transport team to begin removing turtles from the tanks for the big US Coast Guard transport. Volunteers began removing turtles to prepare them for the USCG transport at 4:00 am! ready to be loaded into a waiting transport trailer. 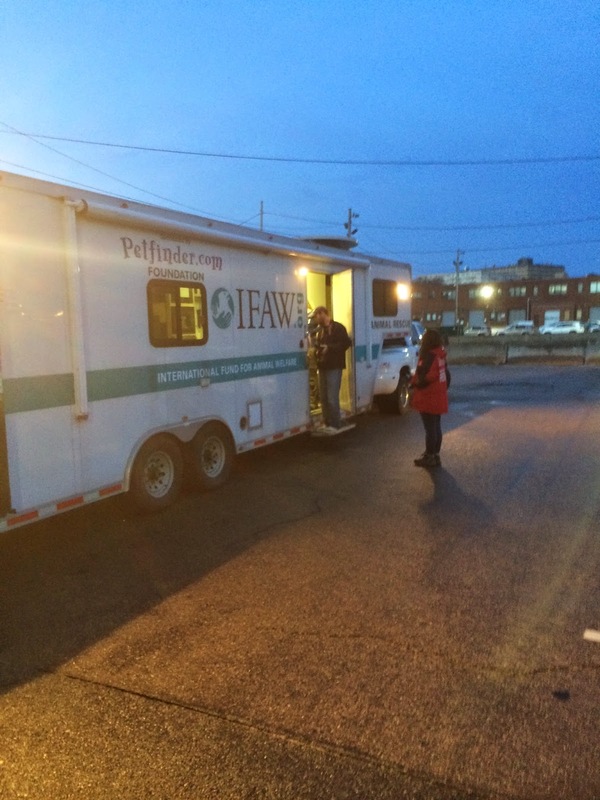 IFAW came and picked us up in their heated animal transport trailer and sent people to help us load the plane. Loading the IFAW trailer was a team effort, many volunteers pitched in to carry turtles. You can help, too. If you see a stranded turtle, please cover it with a layer of seaweed, mark it and call Mass Audubon at Wellfleet Bay at 508-349-2615. These are endangered turtles so every one you save counts a lot! Another way to help is by supporting the Aquarium and our rescue efforts. Thank you. We are in the midst of an unprecedented sea turtle stranding season right now. 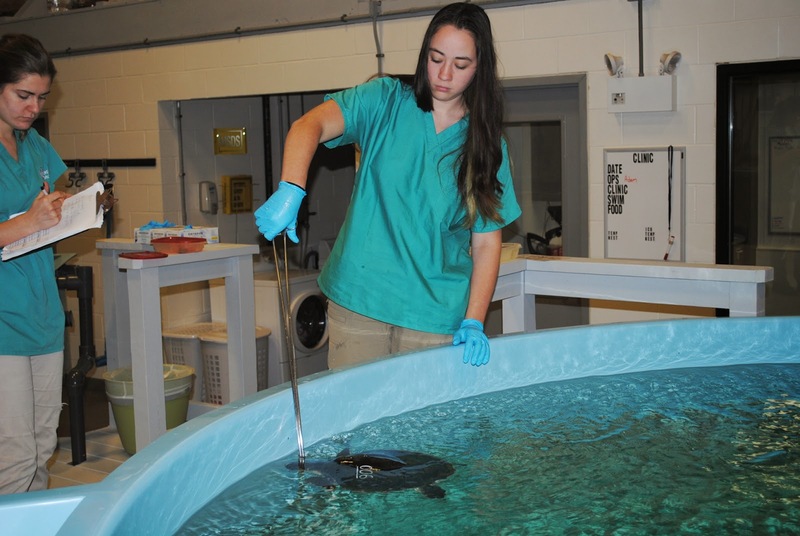 We've treated more than 400 turtles so far this year, that's double previous records. But we couldn't help so many turtles without a strong network of support. First, our partners at Mass. Audubon at Wellfleet Bay organize volunteers to walk beaches in search of turtles, then triages the turtles plucked from the beaches. 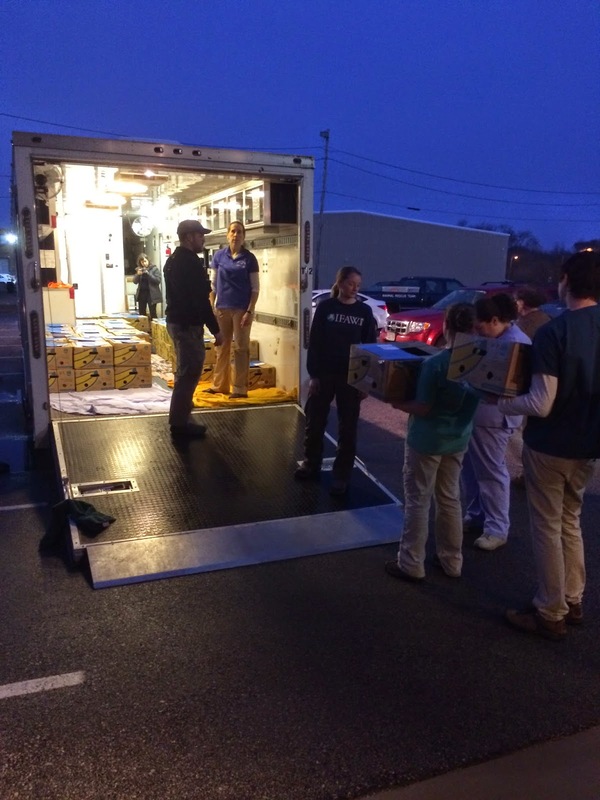 They also coordinate transport from Cape Cod to our facility in Quincy, Mass. This year in particular, it's been a massive undertaking. Here's a quick video detailing that journey. 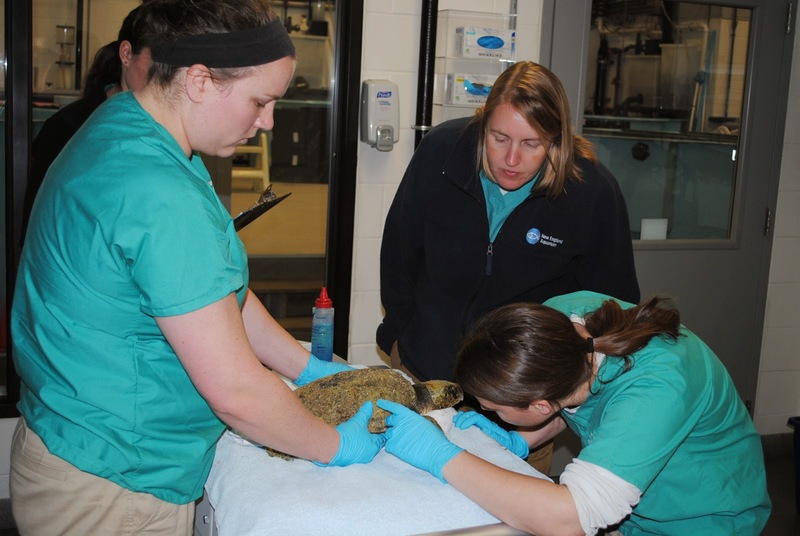 Volunteers hold turtles safely while rescuers examine turtles, deliver fluids and medicines and draw blood for testing. 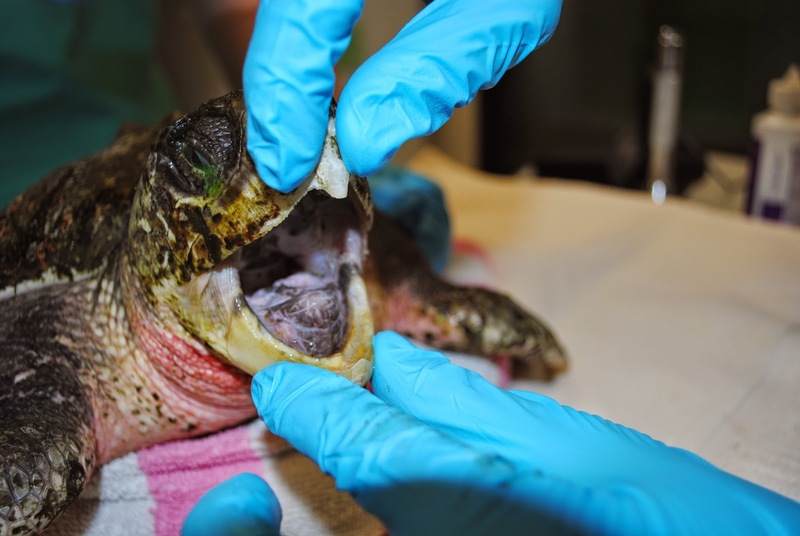 Meanwhile, around 150 turtles remain at our facility for treatment and more are washing up on Cape Cod beaches every day. With the help of volunteers, interns and staff working unbelievably long days, we're going to do what we do—treat endangered sea turtles and get them healthy enough for release back into the ocean. All new arrivals must take a supervised swim. That swim happens in an air-conditioned holding room. The sea turtles arrive with temperatures in the 50s and it's important not to raise their temperatures too quickly. It's looking to be another busy sea turtle season. We'll be posting updates and snapshots of the action here on this blog. This post is an overview of what happens during these early days of a very busy time for us. 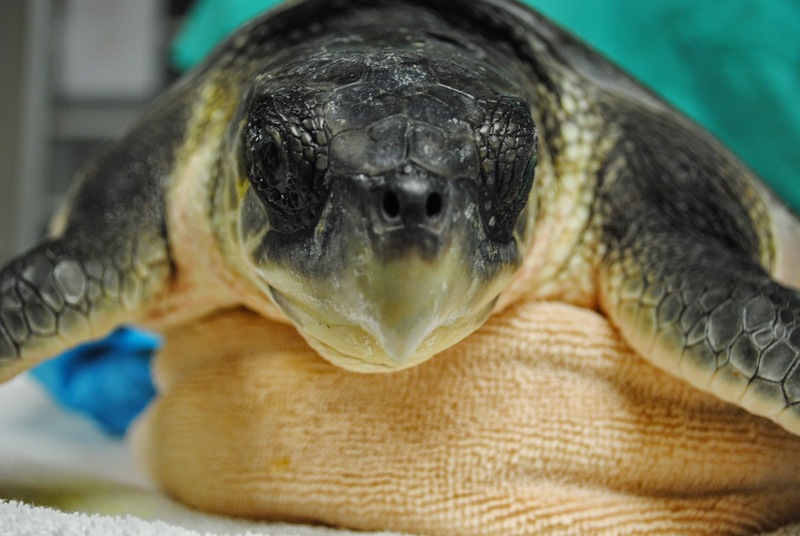 After a busy weekend of sea turtle strandings, the number of sea turtles arriving for care is not letting up. More than 40 turtles arrived at our doorstep on Wednesday. That's roughly equal to the number of turtles that arrived over the whole weekend! So our long days are consumed with treating the turtles that have arrived in the past couple weeks (that's a whole day right there), plus doing intake exams on all the new patients that arrived that day, coordinating transportation for turtles that will complete their rehabilitation at another facility (we need to make room for more turtles! ), coordinating volunteers to help us during all these exams and transports. Oh, and paperwork, of course! 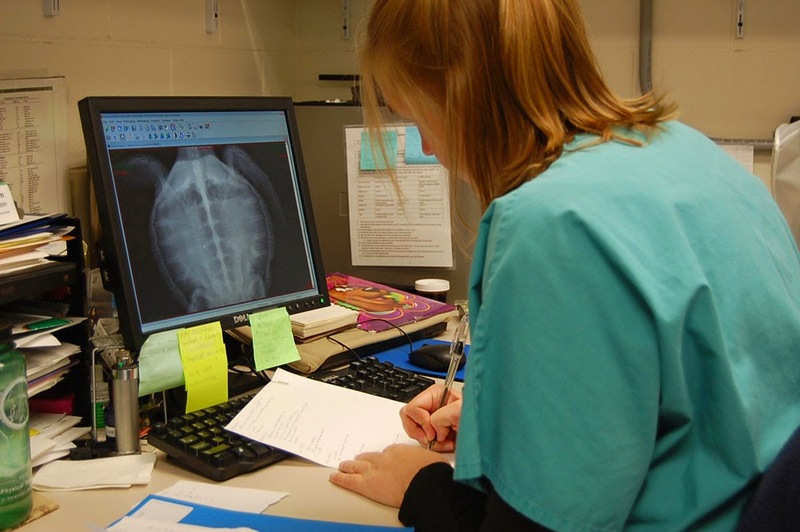 Each turtle has a detailed chart of its health, bloodwork, treatments and swim time. Most of us don't go home until well after 10 pm. 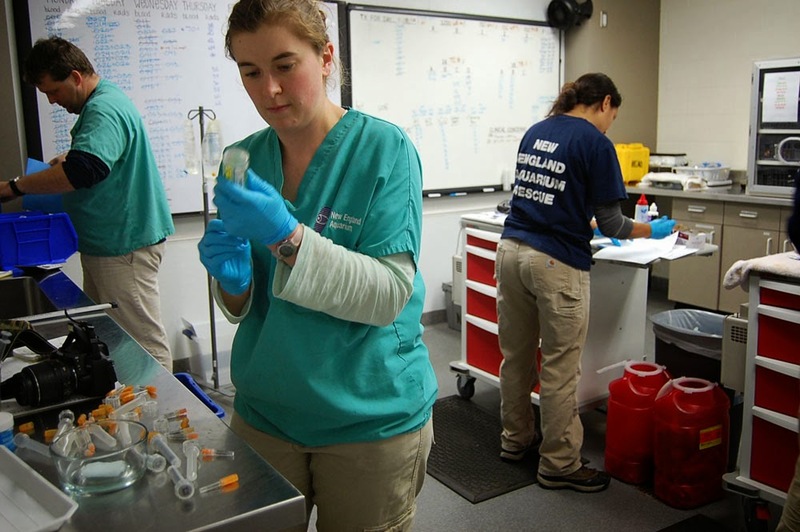 Our rescue partners at Mass Audubon at Wellfleet Bay are just as busy! They have the tremendous task of coordinating volunteers to walk the beaches. 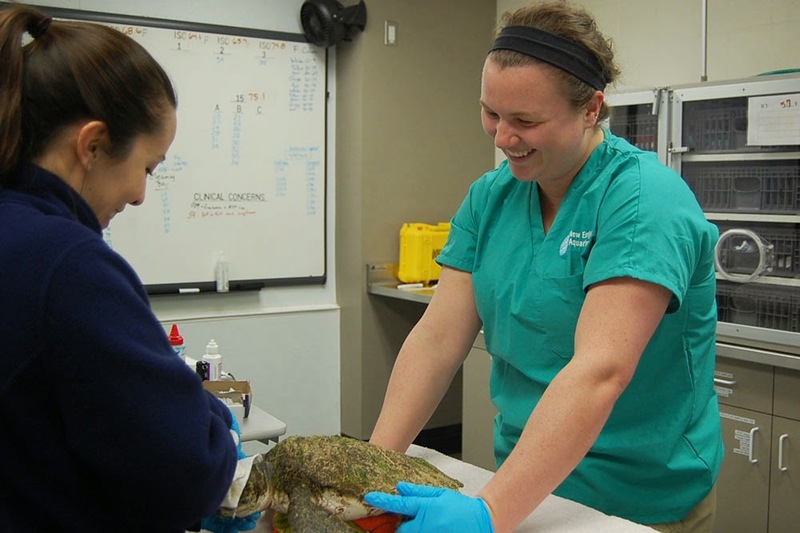 Any turtles found are brought into the facility, triaged and then they coordinate volunteers to drive the turtles more than two hours to our facility in Quincy. With dozens and dozens of turtles being found on Cape Cod beaches, that can mean several trips a day! 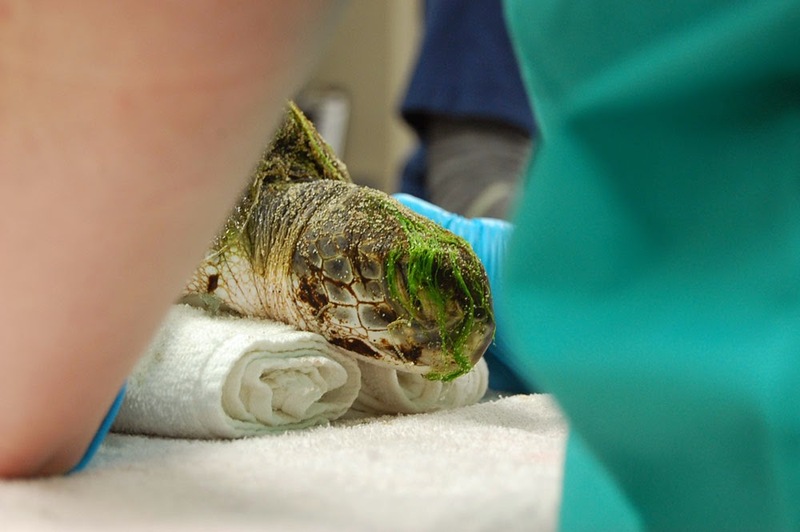 Without their end of this rescue mission, there would be no turtles to save. Buckle up! 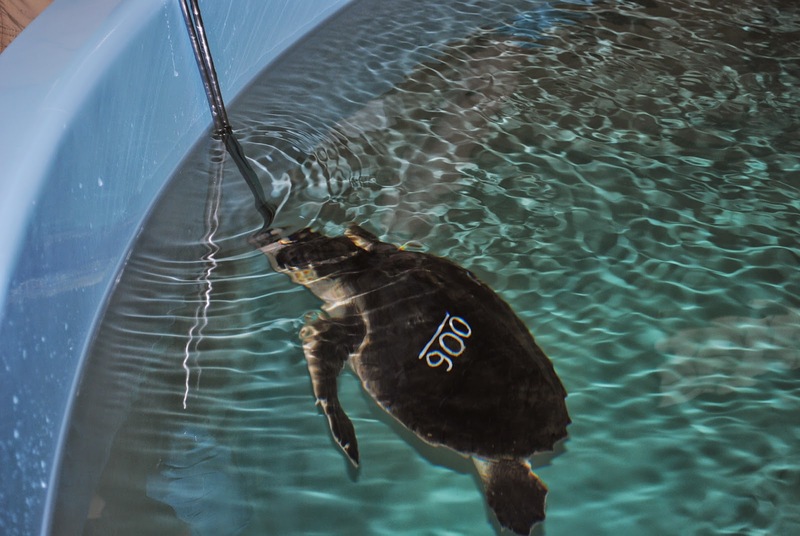 In the weeks and months ahead, we'll provide more information about the work that goes into treating these turtles so they're healthy enough to be released back into the ocean. It looks like it'll be a long haul, but we are ready for the challenge! It's a privilege to be able to care for these special animals in need in the hopes that we can help these endangered species in the wild. If you see a stranded turtle, please cover it with a layer of seaweed, mark it and call Mass Audubon at Wellfleet Bay at 508-349-2615. These are endangered turtles so every one you save counts a lot! Another way to help is by supporting the Aquarium and our rescue efforts. Thank you. 2014 Turtles: So It Begins! So it begins. Our 2014 Cape Cod Bay cold-stun season appears to be starting with a bang! In the past two days we have admitted nine live Kemp's ridley sea turtles which brings our total to eleven turtles in house. Read the recent media release announcing the start of the 2014 cold-stun season. Here is an update on the four brought up yesterday and the two that came in earlier last week. The above series of photos is NEST -14-009-Lk. (Quick side note, none of the turtles have been named yet. 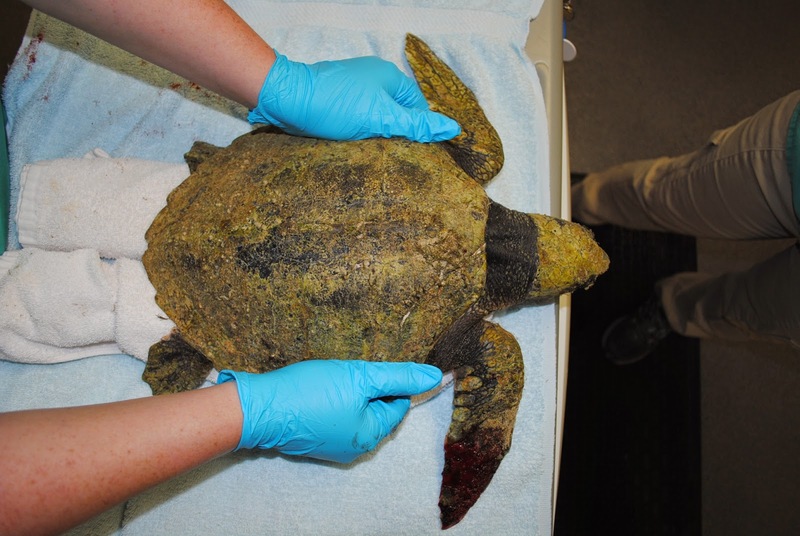 Since these turtles are in such critical condition when they arrive we want to ensure the turtle's survival. We also like to allow the team that intakes the turtle the chance to name it.) 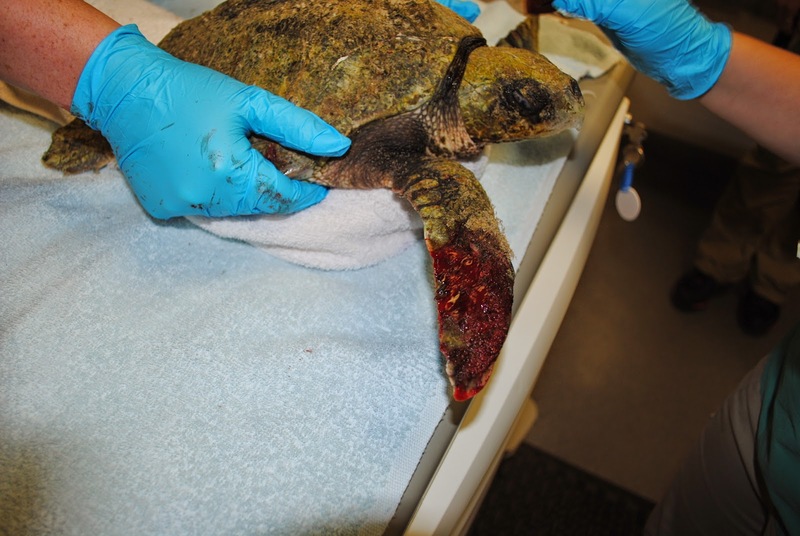 As you can see in the last photo of 009, this turtle has a laceration to the right front flipper. It also has a fracture to the carapace and the plastron. Hard to say for sure what may have caused such injuries. Above, NEST-14-010-Lk gets its intake. We look inside the mouth to make sure it is free of sand, debris, and foreign objects such as hooks and line. A couple of intake photos of NEST-14-011-Lk. Above NEST-14-012-Lk with a bruised plastron. This is one of the common ailments we see on our ridleys. The turtle above came from Martha's Vineyard. NEST-14-006-Lk is already swimming in a big tank and doing well. Has shown interest in food but is not eating yet. NEST-14-007-Lk, one of our smallest admits yet. Weighing in at a mere 1.3kg. Its also in the big tank swimming around with 006. But, this little critter is already eating! Below, are some photos of the turtle season thus far. 006 and 007 are being monitored during their swim. In the first few days of rehab the turtles are watched closely to make sure they are strong enough to stay swimming in the small pools. 006 is being gently placed in the large pool by our intern Sydney. Good work 006! Once swimming consecutively for at least 24hrs the turtles are offered small bits of herring and squid. Although 006 bit at some food the turtle never ate it. Not to worry, it sometimes can take several days to get a turtle to eat. 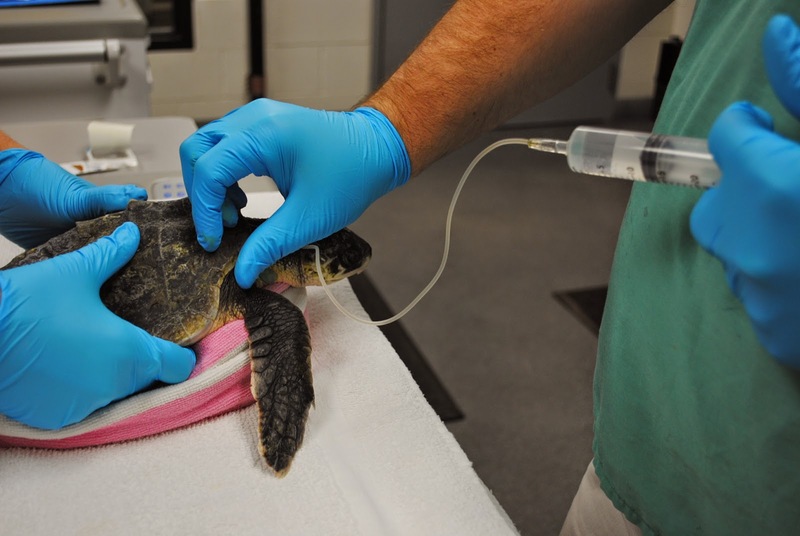 When the turtles first arrive they are given subcutaneous fluid depending on what their bloodwork shows. 010, 011 and 012 all swimming in the small pools at 65˚F today. 009 swimming in a small pool at 65˚F today. 2014 turtle season is about to begin! Turtle season is finally getting under way! As the temperatures get colder, and the seas become hospitable, sea turtles begin stranding on the beaches of Cape Cod. 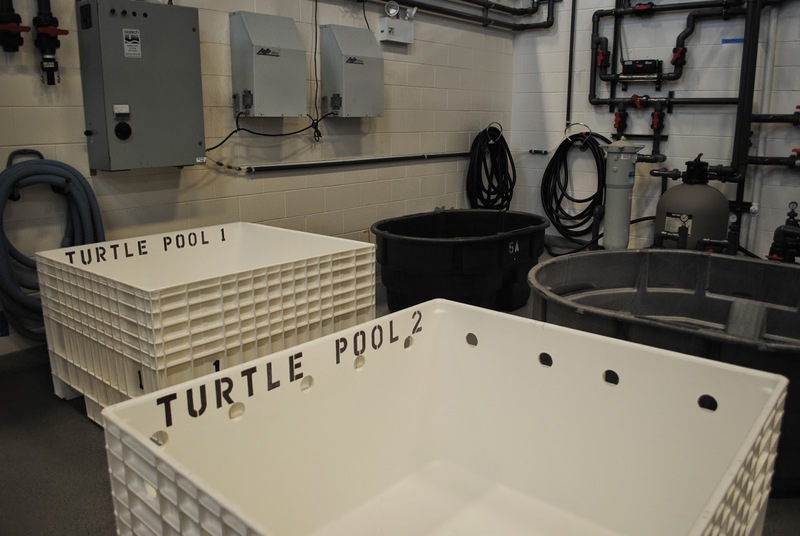 Here, in the Sea Turtle Hospital at the New England Aquarium, we are ready and waiting. We have spent the past few months gearing up, cleaning, restocking medical supplies and sprucing up our facility. In early August we released our final turtles, with one exception, a Ridley named Golden Crisp. With one turtle left in house we, the volunteers, had plenty of time to help the staff make improvements to our facility. 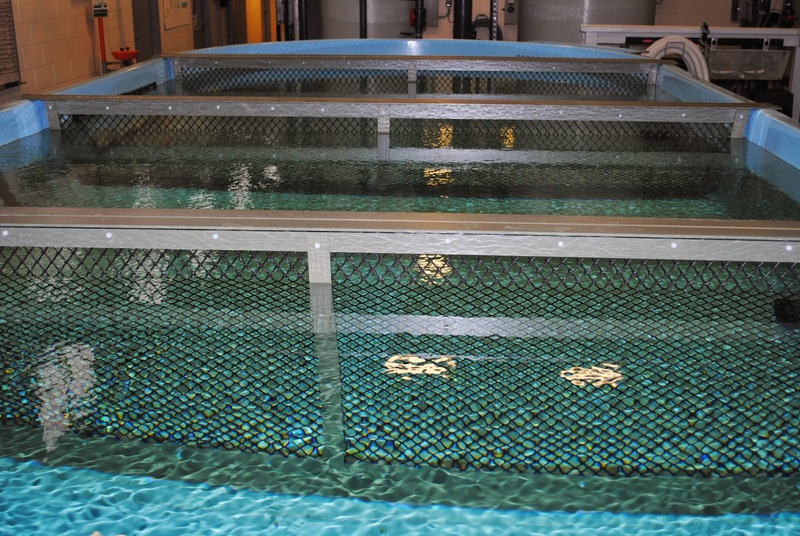 Since that time, we built a new filter system for one of our tanks, created new tank dividers, drained and scrubbed all swim tanks, and freshly painted the deck. While we were busy working on the facility, we were surprised by a few early visitors. 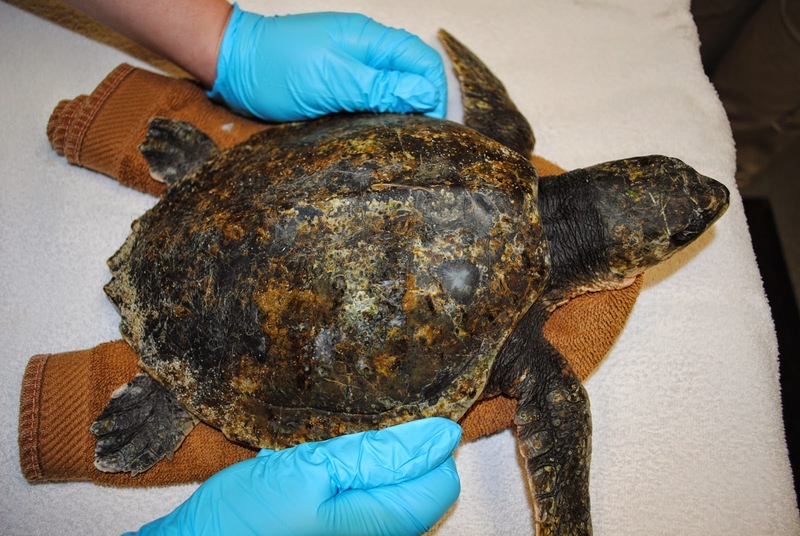 A juvenile Kemp’s ridley and a robust, young, loggerhead arrived at our facility in the middle of September. 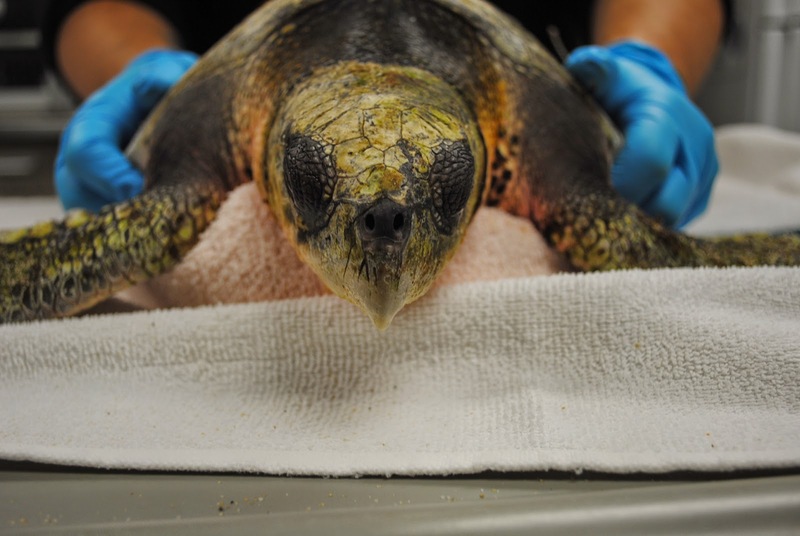 These turtles were not cold-stunned, and presented with other health issues. 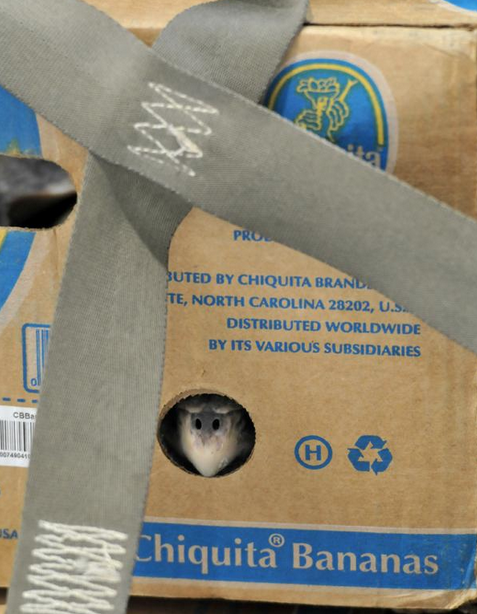 They received first rate medical and husbandry care over the course of a few weeks until they were cleared for release by our veterinary staff. Just two weeks ago, they were transferred to the National Aquarium of Baltimore, along with Golden Crisp, for release back into the ocean. As the anticipation builds for this season, anyone who knows our turtle rescue program asks the same question...they all want to know what the turtle naming theme is for 2014. Interestingly enough we just found out ourselves, but we aren't ready to tell the secret yet. We reached out to our sea turtle partners at the Massachusetts Audubon’s Wellfleet Bay Wildlife Sanctuary (Mass Audubon) and asked them to decide the naming theme this year. 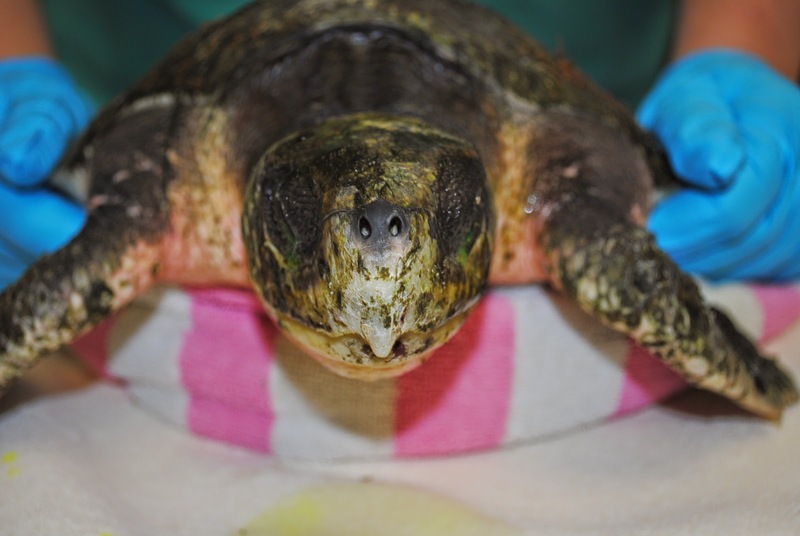 In case there are newcomers to this blog, Mass Audubon is in charge of all sea turtle beach rescues in southeast Massachusetts. 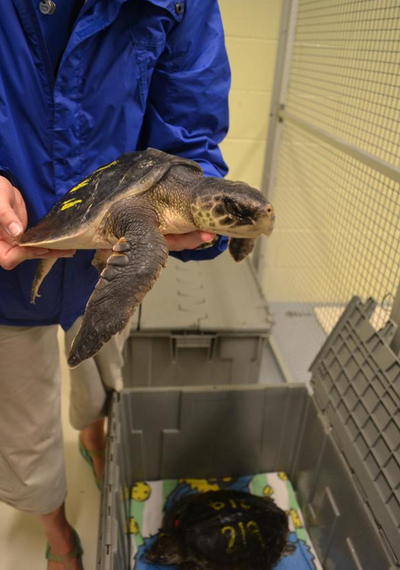 This is a crucial role in the sea turtle effort in Massachusetts. Audubon Staff and volunteers walk the beaches day and night at each high tide searching for and rescuing the turtles from the beach. 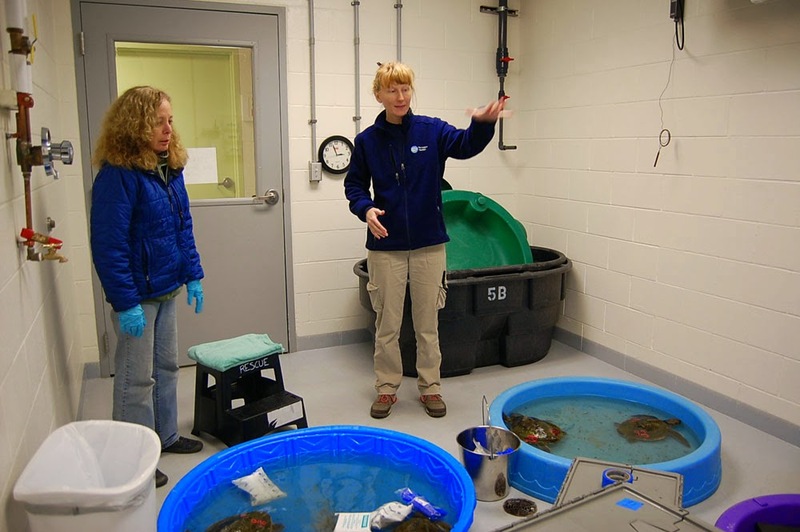 They also manage all the turtle transports from the Cape to our facility, often managing/scheduling two transports a day in the busiest part of the season. 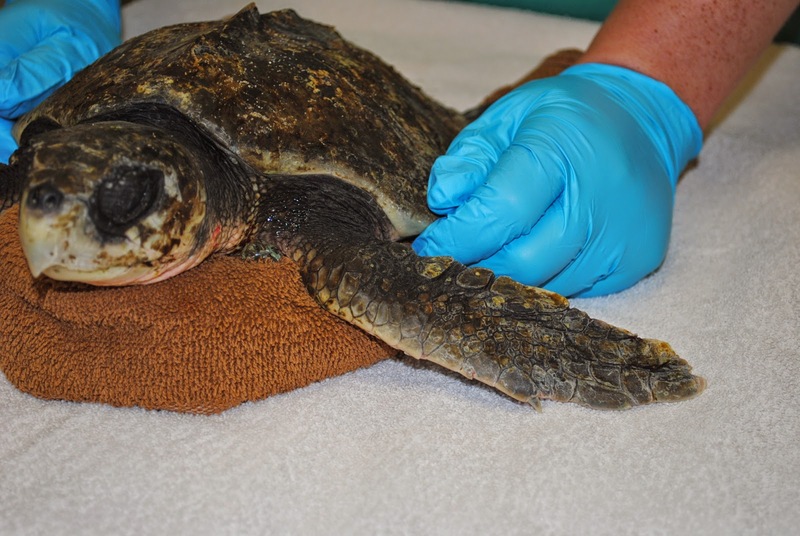 We will share the naming theme in the next blog when we introduce the first cold stunned sea turtle of 2014....stay tuned! 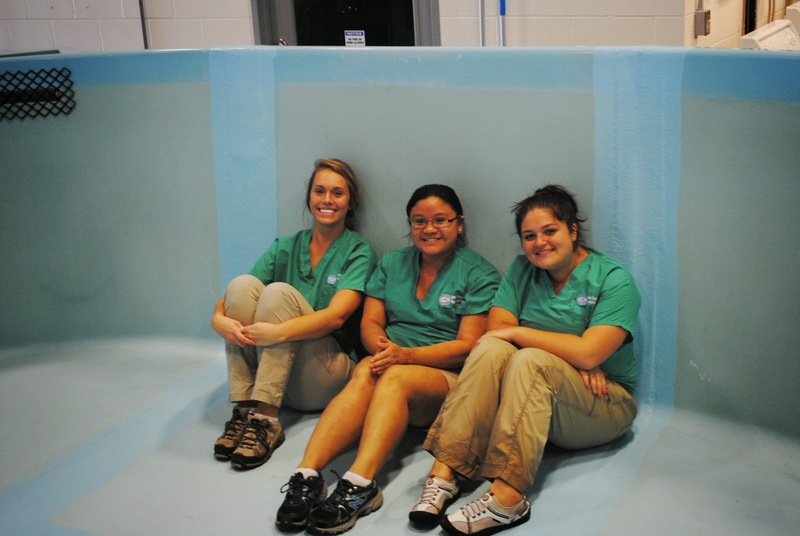 Volunteers take a breather after working on one of the turtle pools... before it gets filled with water for the season. The new sturdy dividers are ready for the turtles! Initial swim pools for when the turtles first arrive. Please visit previous Rescue blog posts to view photos from last season’s releases and the highlights from the 2013 turtle stranding season. And… Stay tuned for updates as the 2014 season progresses! 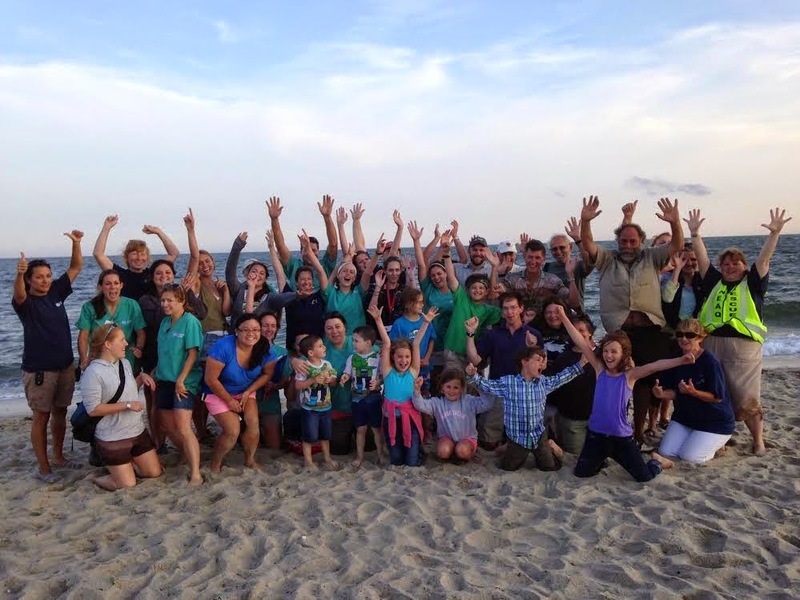 Mass Audubon and NEAq volunteers, staff and family celebrate another successful season after a summer turtle release on Cape Cod. 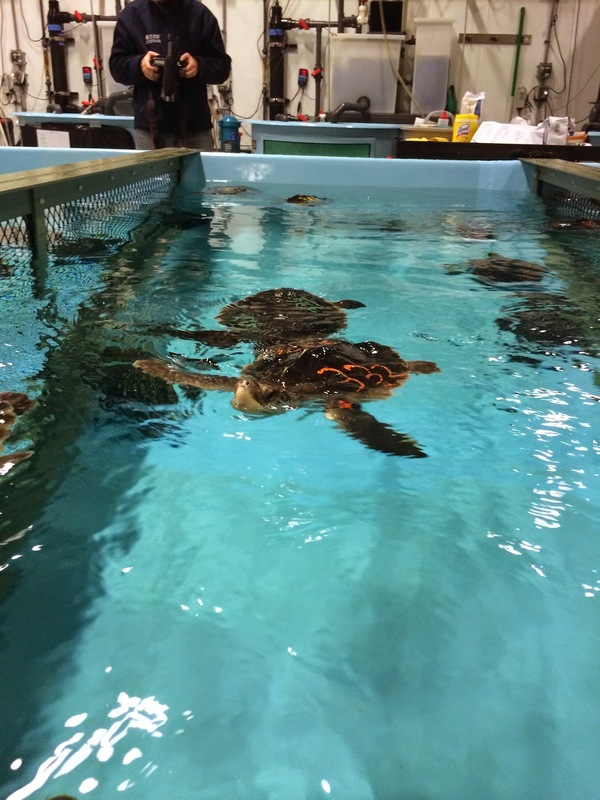 This post was created by our guest bloggers, NEAQ Rescue and Rehab Team Volunteers!